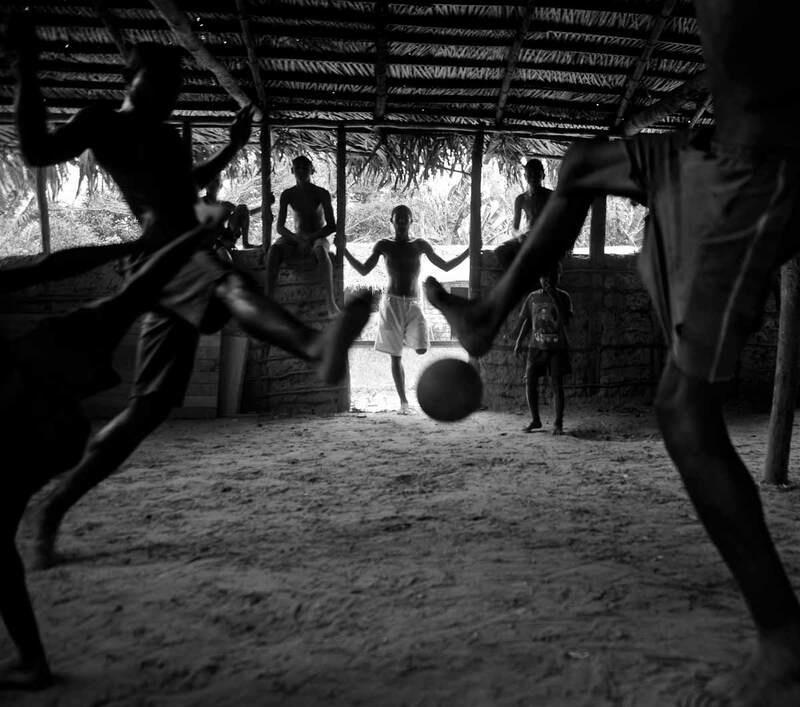 Improvised soccer field inside a storage shed in Sao Raimundo Quilombo in the rural area of Alcantara, Maranhao State, Northeast Brazil. A quilombo is a Brazilian hinterland settlement founded by people of African origin. Most of the inhabitants of Quilombos were escaped former slaves that faced oppression during colonization.